Of the genus Tragopogon pratensis, the goats-Beard is a composite plant. 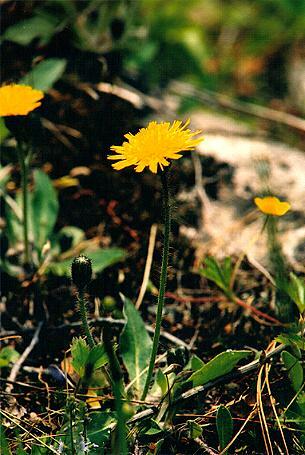 The yellow flower looks much like the dandelion; it is, however, smaller; and it can be easily distinguished by looking to the stem and the leaves. The stem is not hollow; and the leaves are not ragged, but are long and slender, looking like grass. 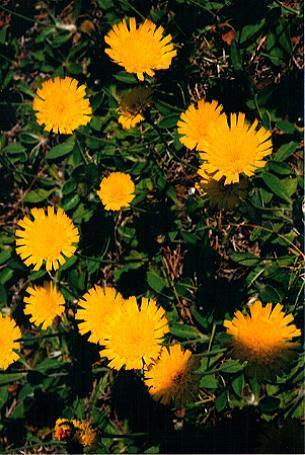 The green cup, the bracts, which support the flower at its base, are upward pointing, whereas the bracts of the ordinary dandelion are bent downward. Goats-beard bloom not near as early as the dandelions. They will be found in the fields and pastures of the country side amidst the king devils with which they might be compared.